Adopt a balloon animal, get clownified, hula hoop your troubles away! The Hillier Circus Festival is hands on fun for the whole family! 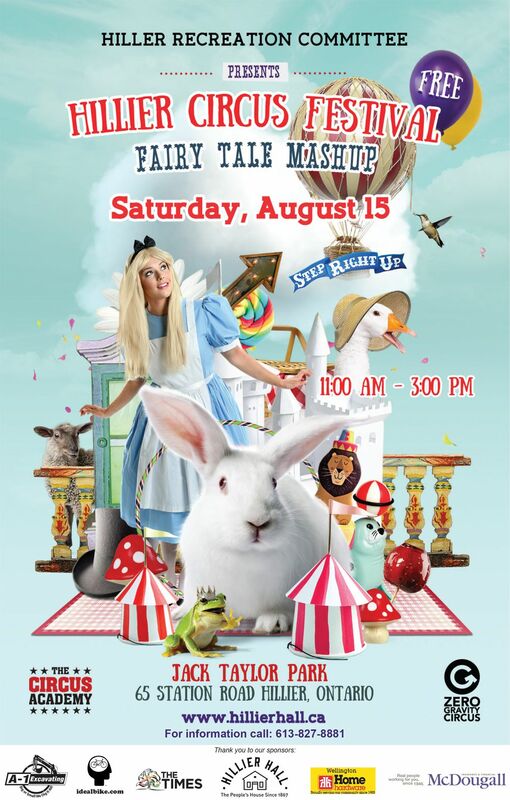 Stilt walkers, face painting, balloons, food trucks & more! Featuring a knee-slapping juggling comedian Ben Burland, followed by the Mini Big Top Show – an energetic aerial acrobatic show hosted by a most hilarious master of ceremonies. FREE & FUN for everyone! Dress up as your favourite story book character!